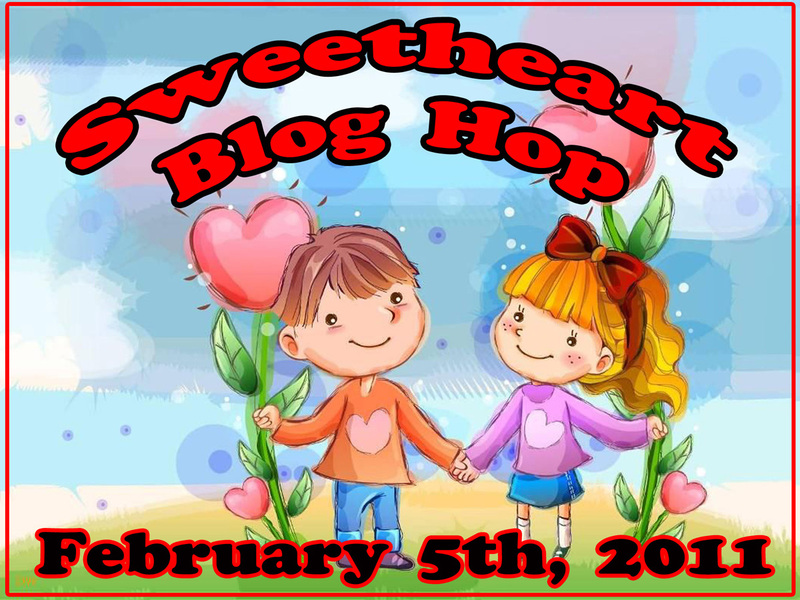 I wanted to announce that I will be doing my FIRST ever blog hop soon! Thanks to Carri at Double Click Connections for inviting me to join in! The date this will be happening is coming up very soon!!! February 5th to be exact! I will have something fun to give away, as I know at least some of the other ladies will, so make sure and check in. I have seen some of the projects planned, and they are going to be so much fun! The line-up is listed below, so feel free to check out some of the other blogs in advance if you want! 3 Challenges - 1 Card!!! I had 3 different challenges on my list that I wanted to get to, and due to busy schedule at the moment, I was able to combine them all into ONE!!! It was a challenge, and took a bit of a stretch to accomplish it - but I really like the results. The first challenge was the Cricut Circle weekly challenge, which had to include at least 3 cuts from the Cricut, but they all had to be from the cartridges that came with your Cricut or Gypsy. 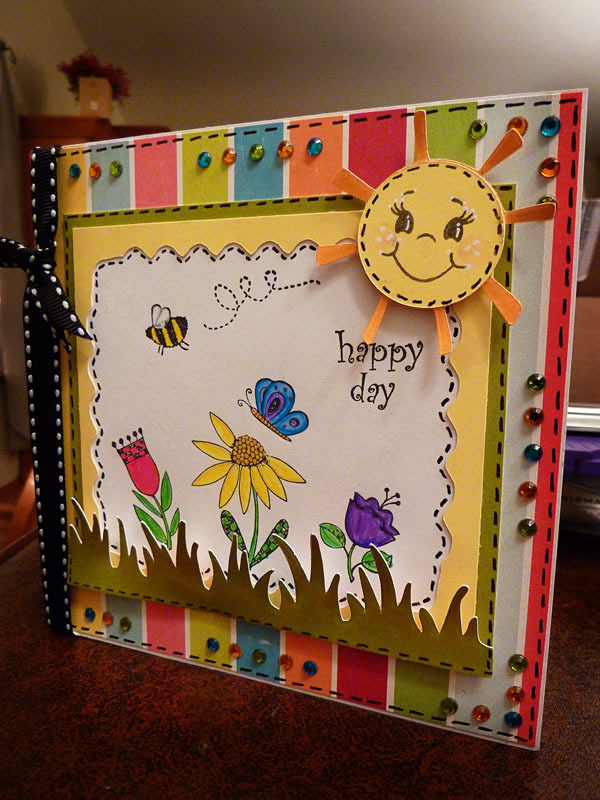 So, the flower border and sentiment both came from Gypsy Wanderings, as well as the two rounded corner rectangles. The butterfly was built out of 2 hearts, an oval, some circles, and some little squiggles all welded and shaped on my Gypsy, and all from Plantin Schoolbook - a cartridge I don't use nearly as often as I should. The next challenge was the Peachy Keen sketch challenge with a twist - the twist was to use a monochromatic color scheme. I have been struggling with that one since I saw it - cause that one is HARD for me! The third and final challenge was a Love Bug challenge at Double Click Connections. And for that, obviously, the butterfly! 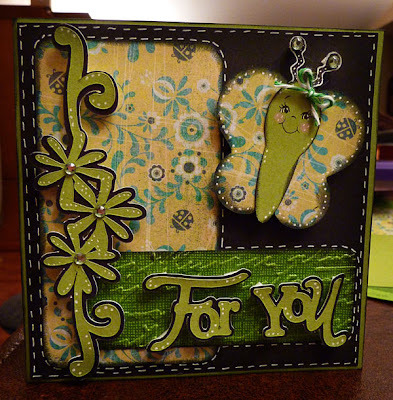 I also ran the bottom rectangle through the Cuttlebug, added some bling, a bit of black inking, some doodling and faux stitching, and pop dotted the butterfly, flower border, and sentiment. Almost forgot - also used a Peachy Keen face for the butterfly, and added a little bow with some Baker's Twine!!! 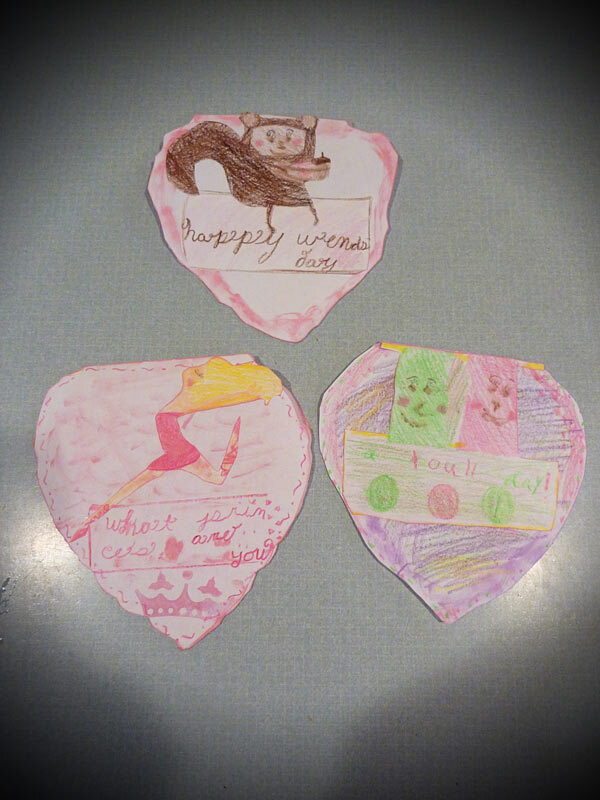 So...as I said a little earlier, here are a couple of pictures of the cards my daughters made, after going "dumpster diving" in my scrapbooking garbage can! They took some of the negatives of cuts I have made recently (do you recognize some of them? ), and used them as stencils and colored them in. I still makes me happy that, not only do they want to do this because it's fun, but they also want to help others with it! The whole goal for them is to help build a house for a widow! 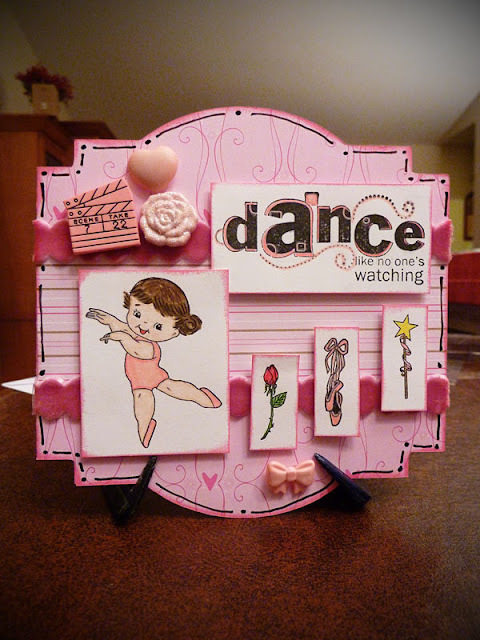 Like I have said before, they were definately my inspiration for what I do with my cards! I love them so much!!! Anyone else gettting excited for spring to arrive? This image just makes me wish it was here already! 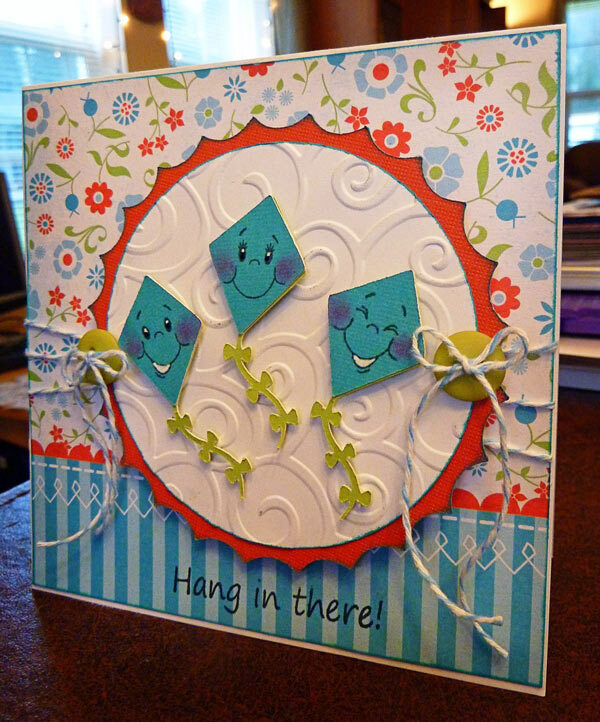 The image and sentiment, as well as the background shape, came from Unity Stamps. I colored them in with my Prismacolor pencils and cut them out by hand. Added some Baker's Twine, a torn piece of paper for the background, and a little doodling with my gel pen around the edges. Short and sweet today! I will try to post a little later or tomorrow though...my two daughters ages 6 and 7 decided to go through my garbage can by my scrapbooking desk and scavenge all the things they could so they could make some cards too! They have been working so busily on it - and they said they want to sell their cards too - to help the widows have a house!!! They asked me if I thought people would buy them for 25 cents!!! Made me cry (yes...I'm an emotional mom! ), but I LOVE their heart and desire to help others! The truth is, we don't coach or encourage them to think of others - I think it is the other way around! They are constantly reminding me to think of others. Anyway, I took some pictures of what they made and told them I would post them and share them on here - so be looking for that! Women can do everything better...in heels! 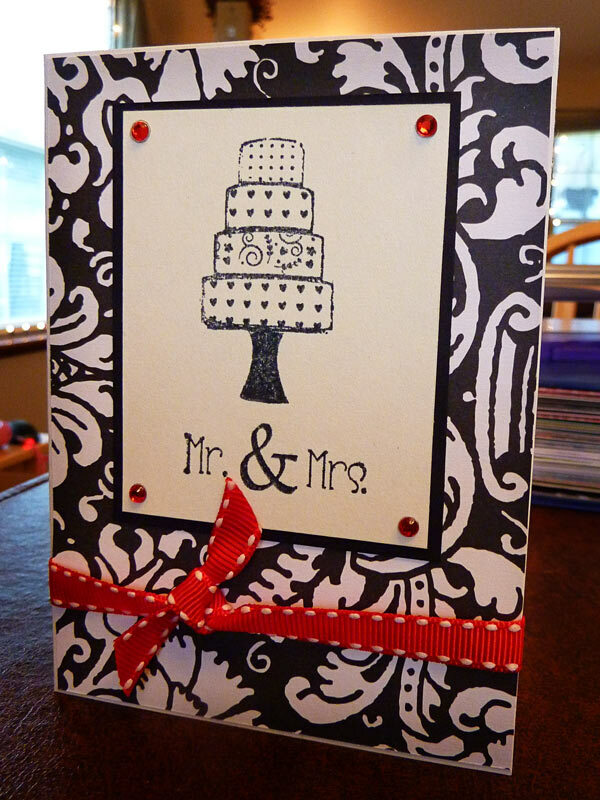 I love using both stamps and my Cricut on the same card! This one I especially had fun with! Also entered this in the Cooking with Cricut birthday challenge! 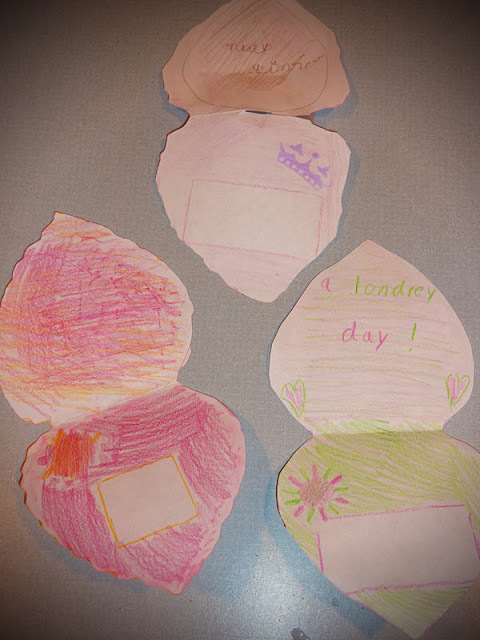 I started off with the little present from Unity Stamps, and after I colored it in with my Prismacolor colored pencils and cut it out, I suddenly pictured it needing someone (or something) holding it! 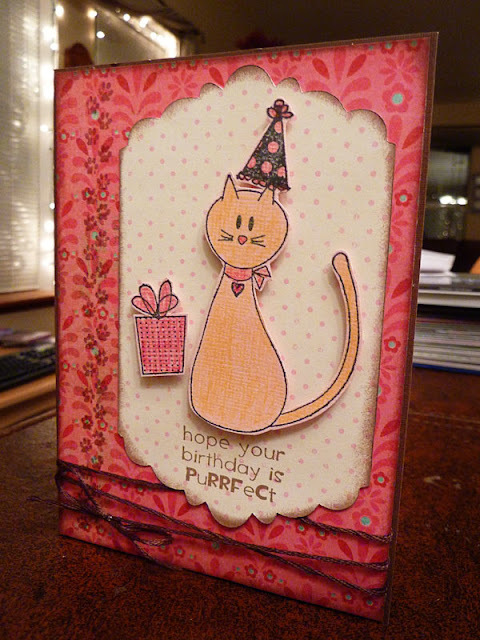 So...I pulled out Birthday Bash, found a shaped card base, and the cute little critter! He was supposed to be holding the number one, but I skipped that part, as well as his party hat, and hid the face with my Gypsy. Added a Peachy Keen Face, a sentiment which is also from Unity Stamps, some faux stitching with my white gel pen, and a little bit of Baker's Twine on the side for a bow. Fun, fun, fun!!! Since I received my Unity Kit of the month for January yesterday, and my husband had to head into work extra early, I decided to sit down and play with them. These are two of the cards that I came up with - very different than anything else I have made before, but I love how elegant looking they came out! The stamp and sentiment for both of them are, of course, Unity Stamps. 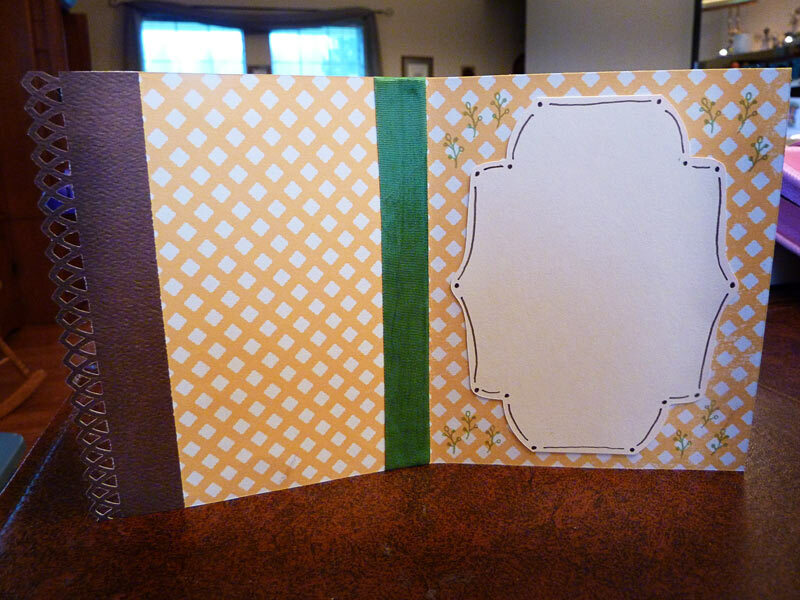 The backgrounds are both metalic paper than I ran through my Cuttlebug. Added ribbon and corners punched from a Fiskars corner punch to both of them, as well as a little faux stitching with some glittery gel pens. Added some buttons and string to the first one, and some bling with my Jolee's heat set tool to the second one. Good morning! 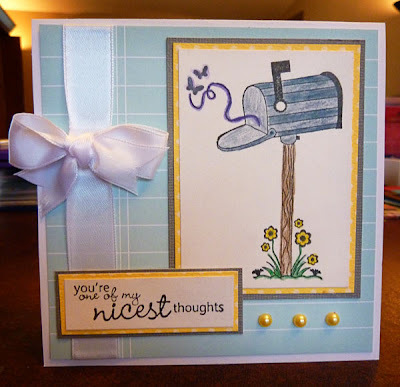 Last week I came hope with this stamp from the dollar bin at Jo-Anns, and couldn't wait to use it! For some reason, I just saw it and fell in love! And for $1, how can you go wrong? Colored the image in with my Prismacolor pencils, then cut out the sailboats from the border option from Wall Decor and More. Added some doodling and faux stitching, pop dotting, and some Baker's Twine. Doesn't it just make you wish summer was here already? So Aubrey - if you happen to be looking - DON'T scroll down!!! You will be getting this whatever day this week that your sister is over babysitting for you - since I gave it to her to give you! Sorry it's late!!! 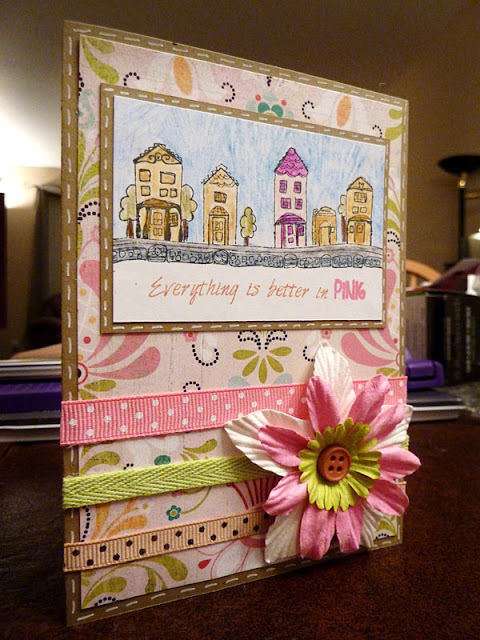 I am also entering this in the birthday challenge at My Pink Stamper. I used the Rock Princess cartridge, added some Stickles for accents on the hair and shirt, the shoes and skirt are glitter paper, and the sentiment is from my Pink by Design stamps. Oh yeah - almost forgot, I also used a little soft pink ink on the cheeks and around the legs, arms, and face, to help make it look a little more real, and pop dotted the girl from the background that also had a little stitching with a green glitter gel pen. Well...the thing I love about doing challenges is that it stretches me beyond what I would normally do! This card is definately proof of that! This is for a challenge over at Crafting with Cristina. The challenge was to use ONLY the colors black, white, and gray (or silver). I was determined to accomplish it - although I must admit it took me a little time to come up with an idea! So...here is what I came up with! Pretty simple! 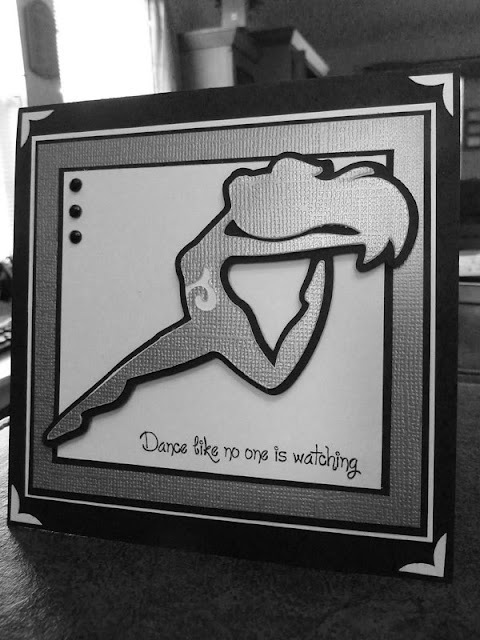 Just used the silhouette option from the Shall we Dance cartridge, added a WHOLE bunch of matting, a sentiment from Pink by Design stamps, some white corners punched with a Fiskars corner punch, and finished off with a bit of bling with my Jolee's heat set tool. 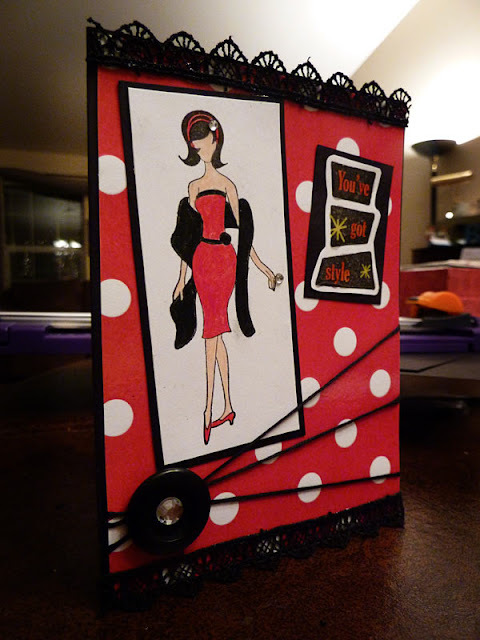 There is something about pink and black that I just love - so this card was super fun for me! The postage stamp is from Unity Stamps, and I colored it in with my Prismacolor pencils. Cut the postage stamp for behind if from Sentimentals cartridge on my Cricut. 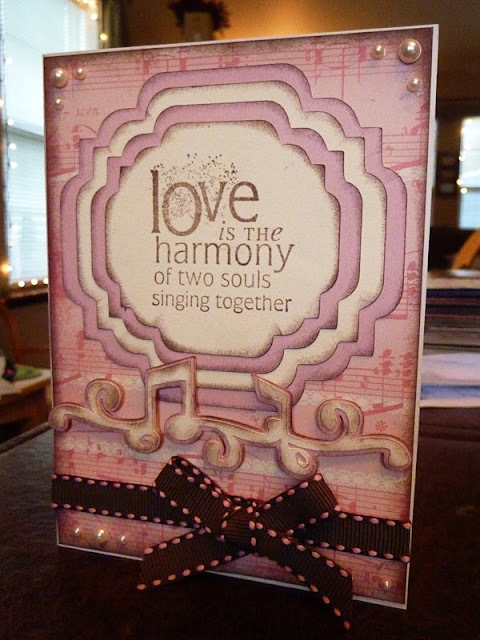 The sentiment is from the same Unity Stamp set, and I matted it in the same black and pink. Added a white bow, some buttons with a bit of string for bows and some bling centers with my Jolee's heat set tool, some corners from my Fiskars corner punch, and so much faux stitching that my hand was cramping when I finished!!! But it was worth it - I am really happy with how this turned out! Sharing a favorite scrapbook page...or two! I usually only post cards on here, but I really loved how these couple pages came out, so I thought I would go ahead and share them here too. The first one is also for the Cricut Circle weekly challenge. The challenge is B.A.B.Y. - which each stand for something. B=brads, A=aqua, B=butterfly, Y=you as a subject. So...this also includes my kids, but it was as close and I was going to get as a page about me! The brads are hard to see, but are little black square ones on the corners of the photo. 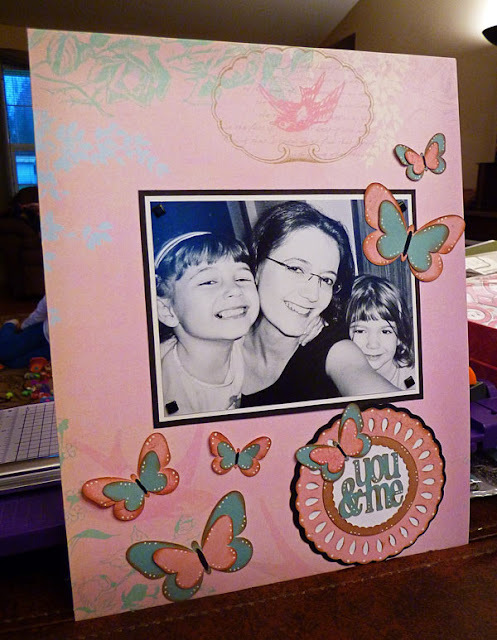 The aqua is pretty obvious, I did lots of butterflies (cut from Straight from the Nest), and the pic is me and my two daughters. The label is from Lacey Labels. Added some doodling with my white gel pen, and inked all the butterflies and the label. This second pictures is just one that made me happy! 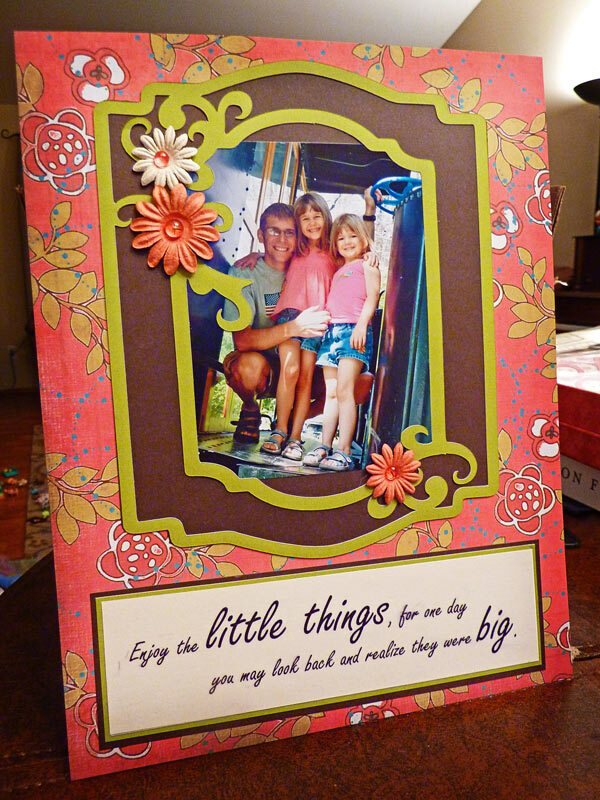 It is a pic of my husband and daughters - and I love the picture, and really love how the page turned out as well. The label is also from Lacey Labels. 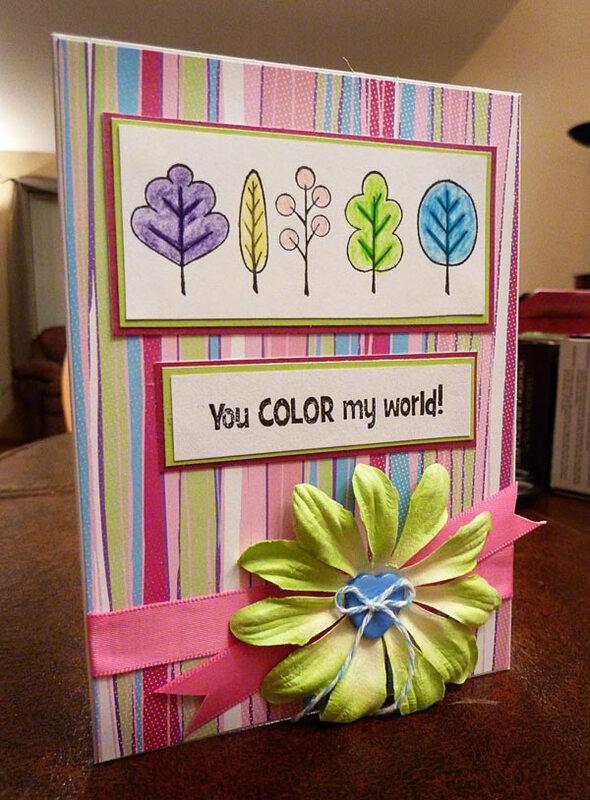 I just added some Prima flowers instead of the ones that came with it, and added a computer generated sentiment. Peachy Keen LFIF - XOXO!!! When I saw the challenge for this weeks Let's Face it Friday on the Peachy Keen Challenge Blog - I couldn't wait to do it!!! The project had to have X's and O's somewhere on it, and of course, Peachy Keen Faces. So...I thought, why not just make the Card's focus X's and O's? Here is what I came up with! 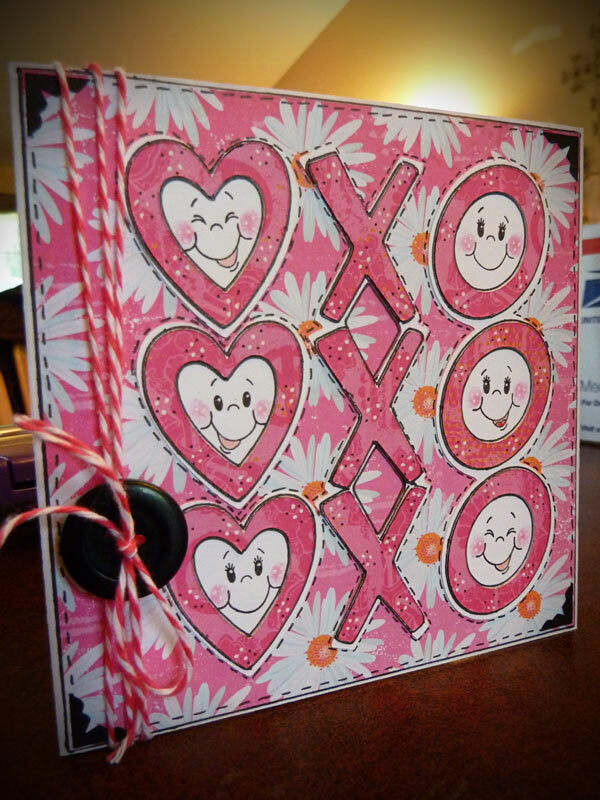 The X's, O's, and hearts came from the Sweethearts cartridge. I added some Peachy Keen faces from the Basic Paper Doll Face Assortment, some punched black corners, some of my new twine from the Twinery (I am in LOVE with it! 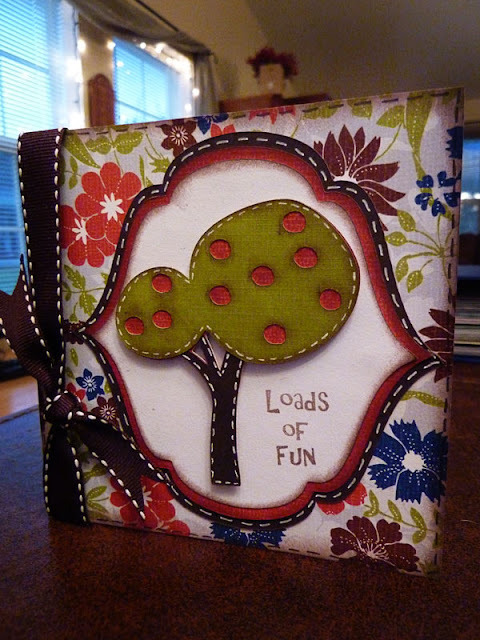 ), a button, and lots and lots and lots of stitching and doodling and dots. I didn't notice until I was posting these, just how OPPOSITE they were! The first one is all happy, and the second one is sympathy! Guess that is how life is though, the happy mixed with the sad. So the first one I was just playing with some stamps I had in my stash, and coloring with my Prismacolor pencils. Then I put the yellow frame around it (which is the negative cut of the Groovy card I made the other day! ), and added a frame. Before I knew it, I was cutting out a happy sunshine (from Simply Charmed) and adding a Peachy Keen face, and some grass from Zooballoo. I added Glossy Accents to the grass and the rays on the sunshine, added LOTS of faux stitching, a little ribbon from my stash, and LOTS of bling with my Jolee's heat set tool. The grass and the sunshine are also pop-dotted from everything else for texture. The second one isn't my favorite, but I figured I would share it anyway. Feels like it needs something, but I can't put my finger on what it is! Anyway, I used one of the tag shapes from Once Upon a Princess, and the flower came from Cindy Loo. The side border is a Martha Stewart punch. The frame on the inside is actually the shadow to the frame on the front, but I didn't like it there when it was all finished. So I cut a little off the top and bottom to make it fit better, and put it on the inside. 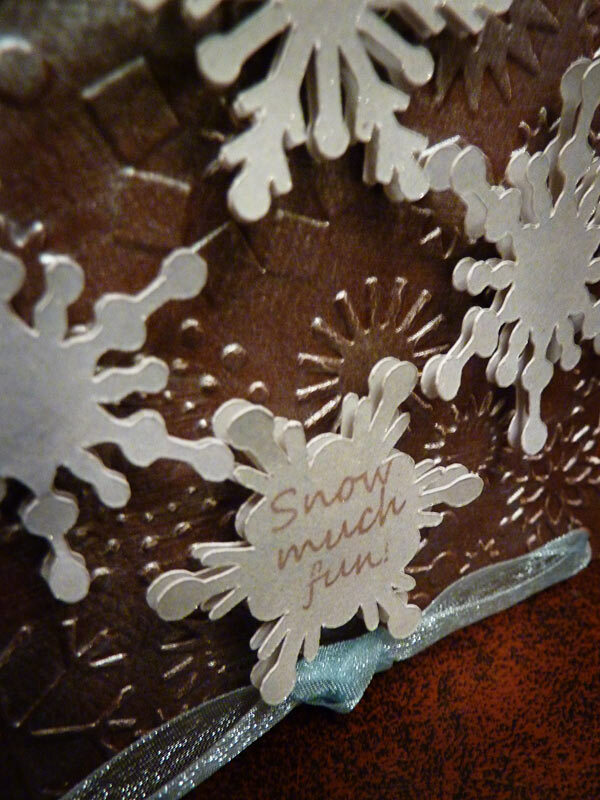 Added some ribbon and a sentiment from my stash (not sure who it is by...) and a bit of doodling to finish it off. Having too much fun with stamps!!! Oh my goodness!!! I can't believe how much fun I am having mixing together stamps and my Cricut!!! There are so many possibilities!!! I probably need to slow down - but it is just so much fun! I love how each of these is so unique and different too! I think my Prismacolor pencils are making a difference too - those really do color SUPER nice! I always loved coloring when I was a kid - now I just get to do it as a grown up! So the stamp on all of these is from Unity Stamps, all colored in with the Prismacolor pencils. The first one also has some black string wrapped around, a button, and some bling added with my Jolee's heat set gun. 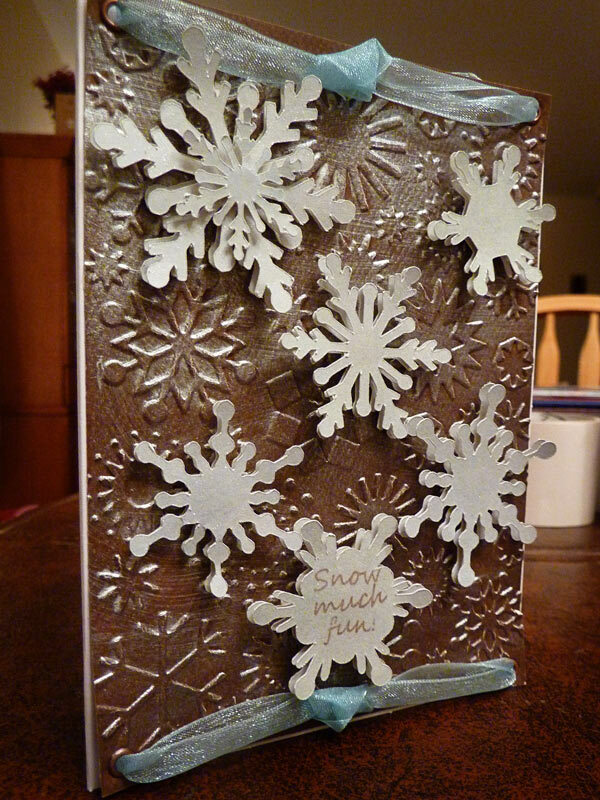 Topped off the sentiment with some Glossy Accents, and added some lace at the top and bottom. This is the only one I didn't use the Cricut on. On the second one, after I colored it in, I cut it out, and topped the whole thing with Glossy Accents. Added a neat finish too it! The scallop background was cut from Preserves, then I cut a smaller square and ran it through the Cuttlebug. Layered everything, added lots of doodling, some ribbon, Stickles, some Prima flowers, and some bling with my Jolee's heat set tool. 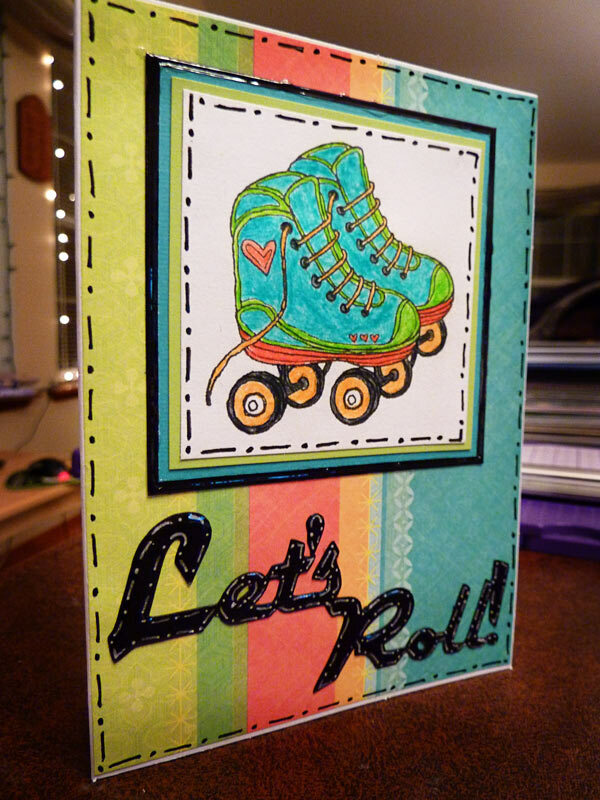 The last one I just layered several times on different colored cardstock, then welded together some of the letters from Nifty Fifties on my Gypsy to cut out "Let's Roll!" Added some doodling, then Glossy Accents over the letters, and around the black edge of the matting around the skates. 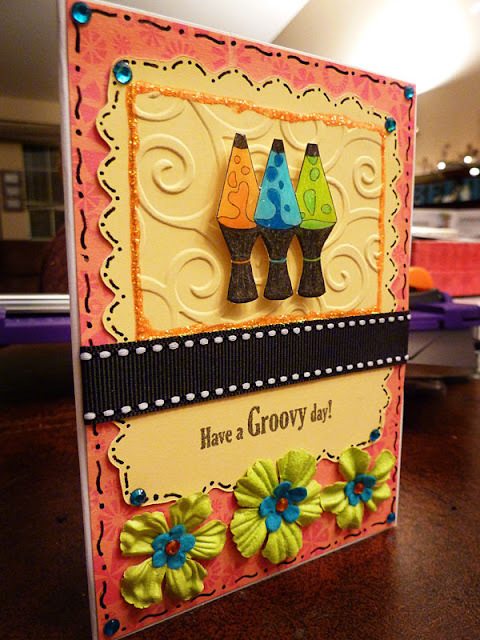 Hope you have a "groovy" day!!! Good morning! 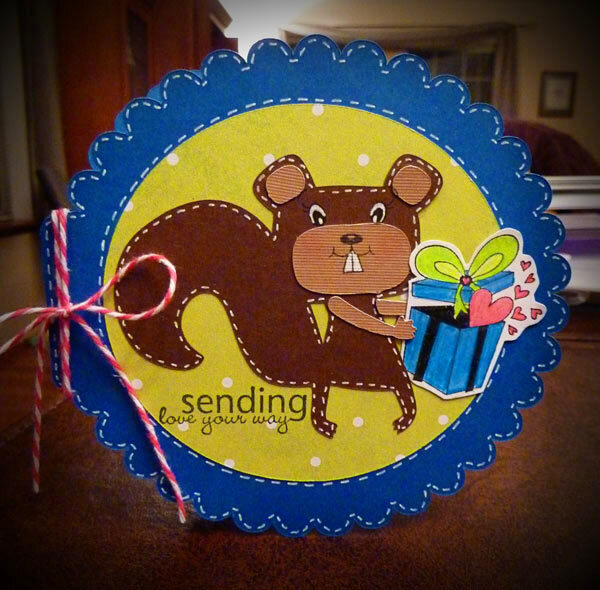 Wanted to quickly share this card I made a few days ago, using a digital image. (not quite sure who it is by anymore...) This was my first time using something like this on a card, so it was a bit challenging for me, but I think I like the end results! Printed the image out on cardstock, colored it in a bit with colored pencils, then cut it out by hand. The red frame around it was cut from the Preserves cartridge, and I put Glossy Accents on that part. 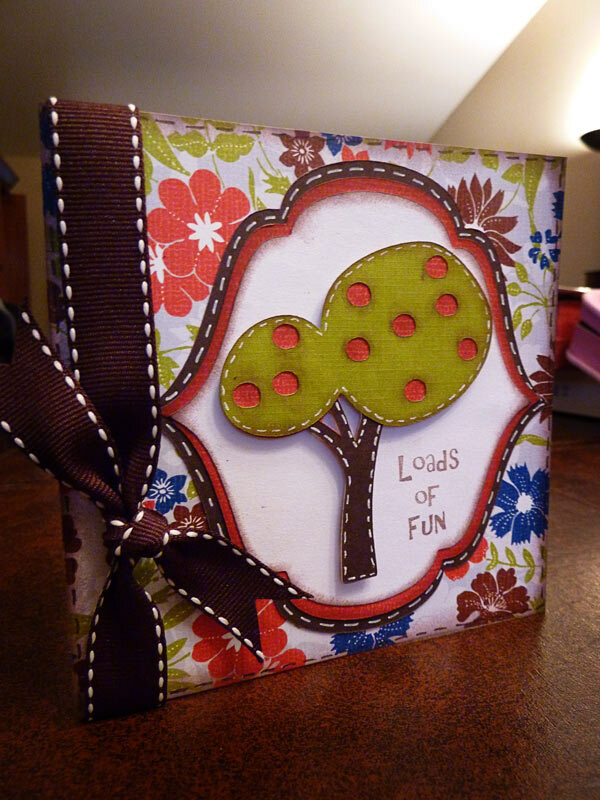 Threaded some ribbon through and attached it with brads and pop dotted the circle from the card. 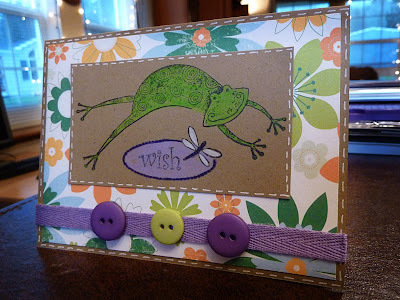 Added a border punched with a Martha Stewart border punch, some stick on pearls, and finished with a sentiment from Papertrey Ink stamped with white ink. Good evening! I couldn't wait until tomorrow, so I decided to post this tonight! 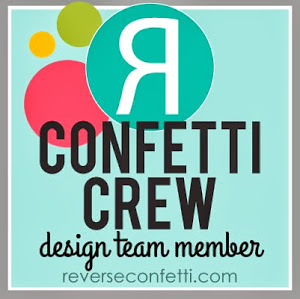 Made this for the weekly challenge on the Cricut Circle message board - a sketch challenge. 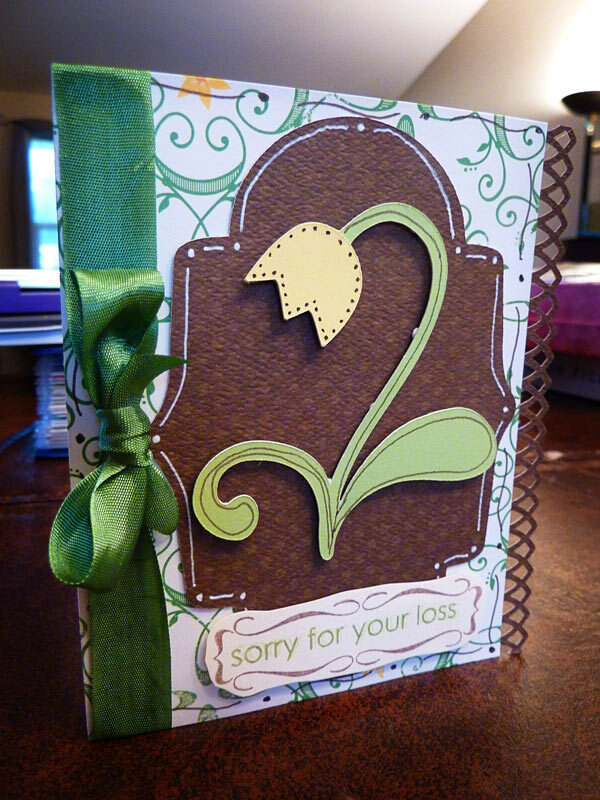 You also had to include at least 2 Cricut cuts, buttons, and incorporate stamps. 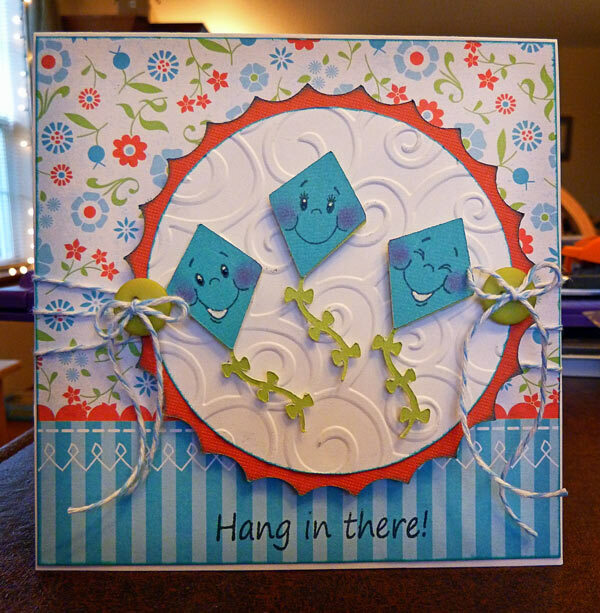 So...I cute the shape card by welding two shapes from Lacey Labels together. 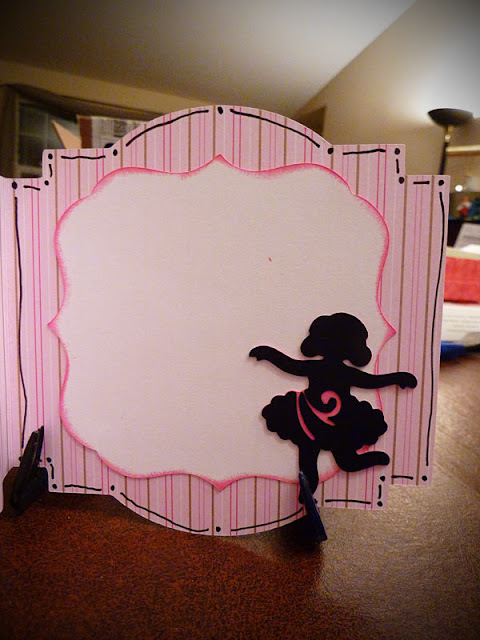 Then I cut another shape for the inside, and also a silhouette from Shall We Dance to embellish the inside. For the stamps, I used the cute little girl and some of her goodies from the set I got and used a while back from Crafty Secrets, and colored them in with my new Prismacolor pencils (which I LOVE by the way!). The buttons are some decorative dance ones that I used one of my husbands tools (thanks honey!) to cut the back off of so they would sit flat. The sentiment is from one of my Unity Stamp sets. Inked pretty much everything, added some doodling, pop dotted EVERYTHING on the front, and that was it. Had a lot of fun - and made something a lot different than anything I have ever made before! 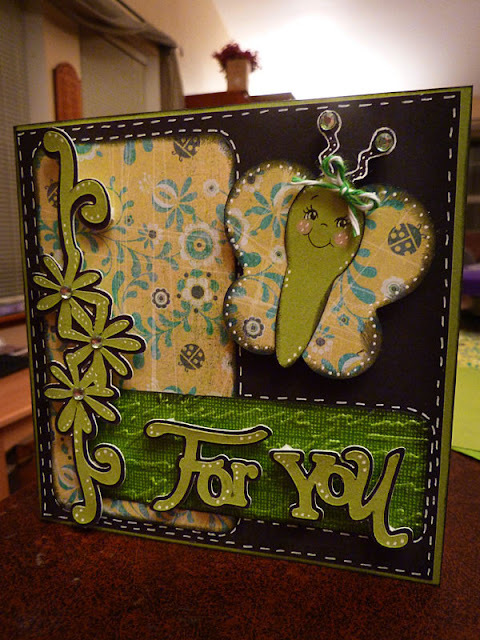 I made this card for the montly challenge on the Cricut Circle blog. 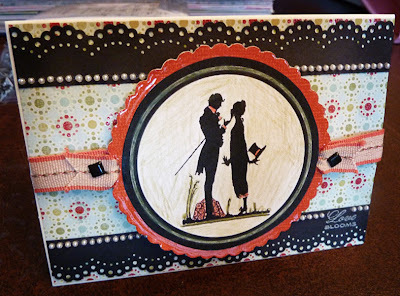 The challenge was to scraplift something from one of the posts on the blog. So...I picked a card made during the month of december, and took the layout, and instead of putting an elf on it, I put a tree, and didn't use Christmas colors. I really LOVE trees...so I like this card! The tree came from Cindy Loo, and the background shape was cut from Once Upon a Princess using one of the tags cut out several times in just a little larger size each time. 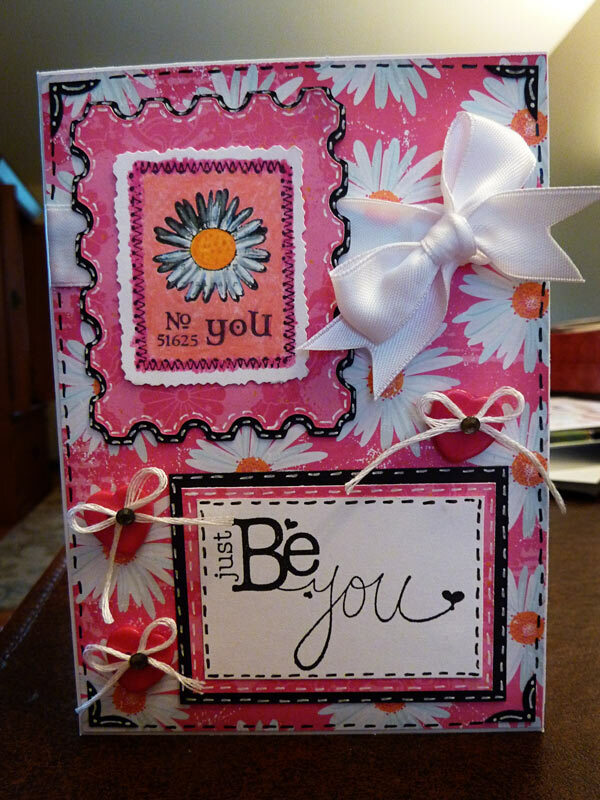 Added a sentiment from Pink by Design stamps, a ribbon bow on the side, some faux stitching, and inked everything. Thanks for looking - and I hope your day is "Loads of Fun!!!" My Pink Stamper Blog Hop Challenge!!! 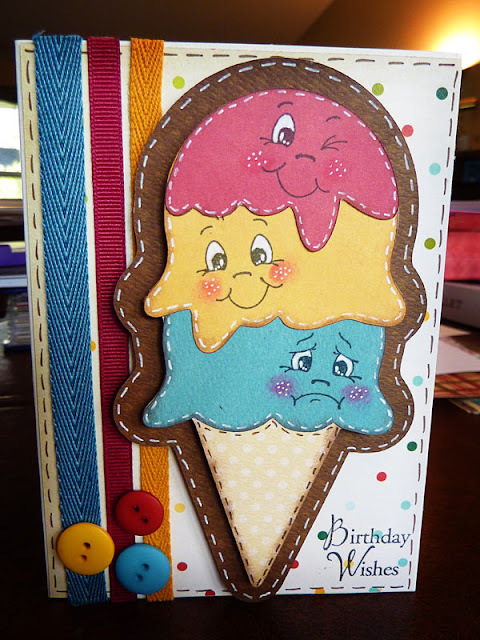 All cuts, including the shaped card, are from Birthday Bash. Added a Peachy Keen Face, a Prima flower with a stick on pearl for the center, and then pop-dotted the bird from the background. 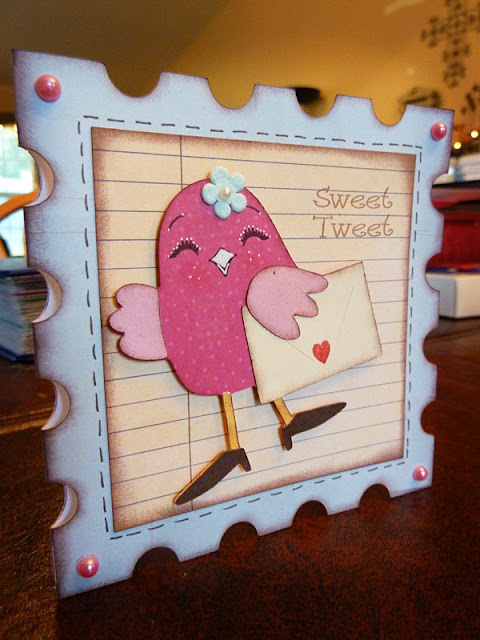 The sentiment is from My Pink Stampers Tweety Hoo Puns stamp set. Also added some pink pearls to the corners, and some doodlin', as well as LOTS of inking on everything! Sometimes something happens that reminds you what is important. I was so humbled to receive a private message yesterday from an older woman living on Social Security. She said she had seen how I support Sister Connection with my card sales, and even though she couldn't afford $30 a month to support a widow, she wanted to send something to help the ladies and their families out. I was speechless! I cannot believe how much God has grown and stretched me since I began this project!!! 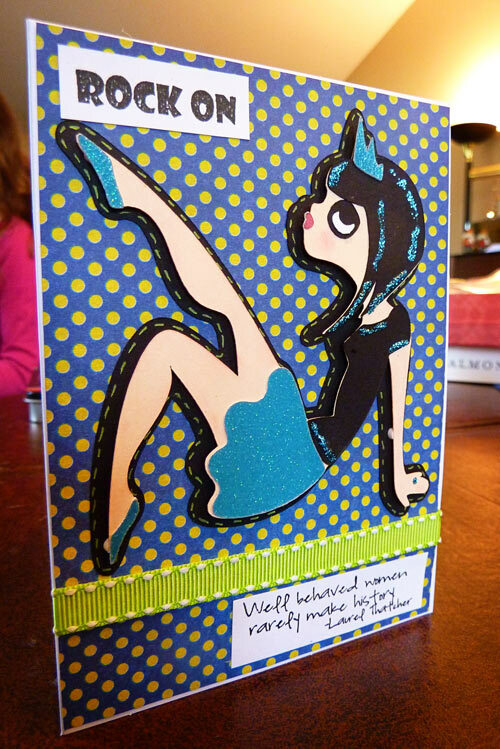 I think I enjoy making cards more now than I EVER did before! It truly is a gift of the heart...so from my heart - I want to thank each of you who has encouraged me along the way, who have contributed to this cause, or ANYTHING that helps someone in need, and those in whom I have been blessed to see the Father's heart! And quickly, here are a couple of cards that I made over the weekend. 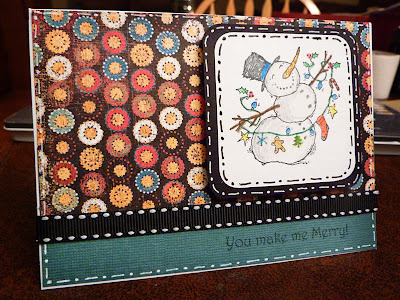 The first one is from a stamp set (by Fiskars I think...) that I colored with colored pencils, added some bling with my Jolee's heat set tool, some ribbon, and some doodling. This second one is a stamp from Unity Stamp Company, colored with colored pencils. 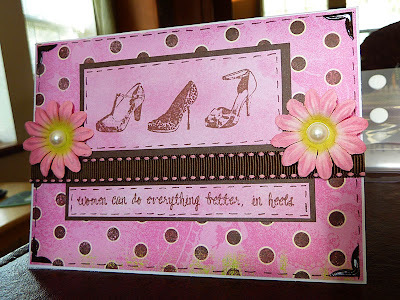 The sentiment is from a Pink by Design stamp set. 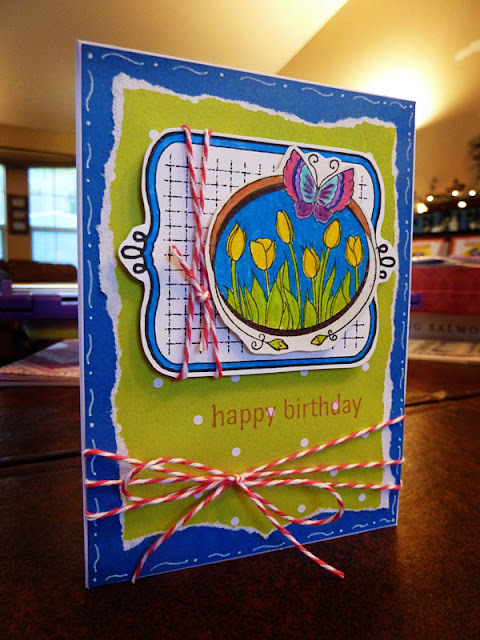 Added a Prima flower with a button center, baker's twine bow, and some ribbon - as well as double matting on the stamped images. Good morning! My best friend came over the other day to make baby shower invitations for her sister-in-law. Since she only needed to make 12, we decided they could be a little more elaborate than we would normally do for a large number. NOTE TO SELF: 12 invitations can still be a lot!!! Anyway, I think they came out really cute anyway! The first one is what we originally came up with, and then changed our mind a little, so the second one is what we actually ended up going with for the invitations. 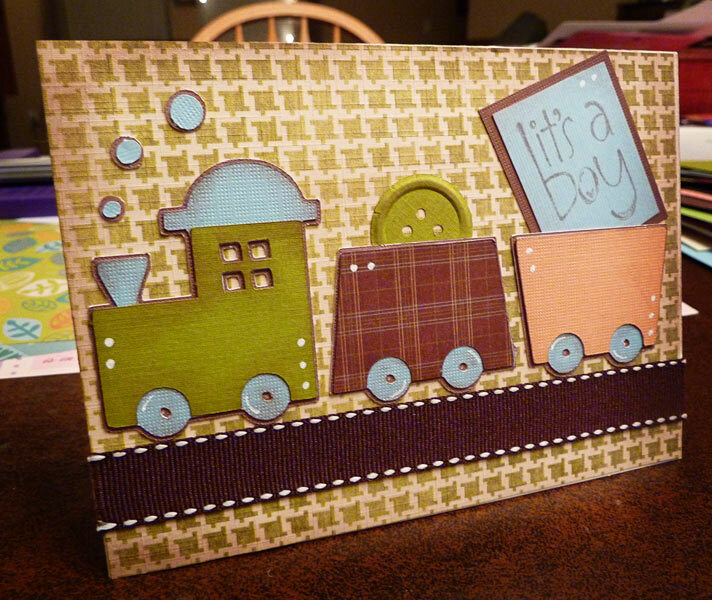 I'm saving the first one for a baby card though anyway! 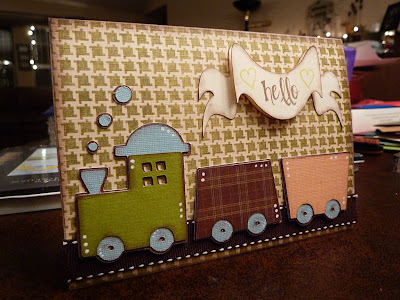 The train came from New Arrival, and the banner cut on the first one is from Give a Hoot - resized on my Gypsy. The stamp on the first one is from a Pink by Design stamp set, the second one is from something in my stash...not sure what it was from. We added some ribbon for the tracks, LOTS of inking and some doodling. Getting a little carried away with the stamps! So...the first two of these were from some miscellaneous stamps. I have had the snowman for a long time, and I think the frog is a from a set by Fiskars. Colored them both in with colored pencils, added some ribbon, doodling, and buttons on the second one. The snowman got a sentiment from one of my Pink by Design sets, and the sentiment on the cute little frog came with the set. The last one, I made early yesterday morning - after the idea popped into my head the night before! I was a good girl though, and went to bed, and waited until morning to make it! The stamp on that one is from a retired set by Unity Stamps, and I colored it with colored pencils as well. 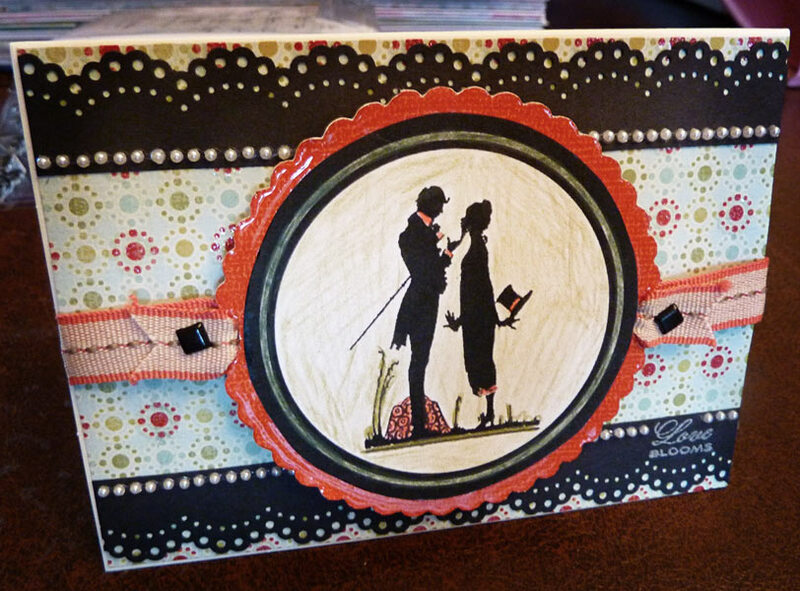 Added some doodling, several ribbons, and a Prima flower with a button center. I had so much fun with this one! 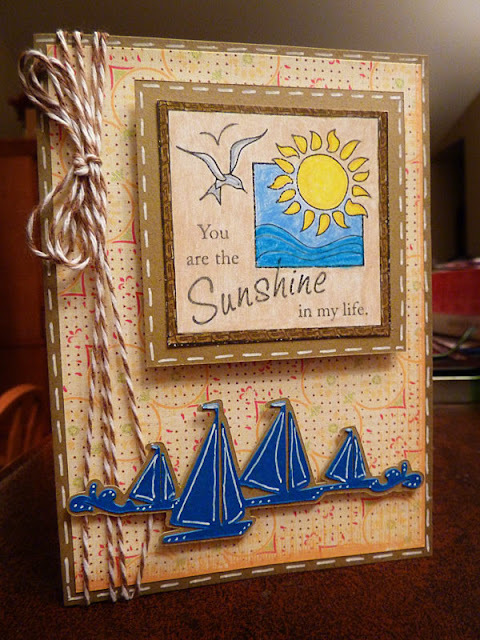 This is for a sketch challenge over at Peachy Keen Stamps (see HERE for more info). I wanted to do something other than flowers or balloons for the 3 items on the circle - so I suddenly pictured kites with cute Peachy faces! Couldn't wait to make it! I found the kites on Create a Critter cartridge, and added the Peachy keen faces from Basic Paper Doll Face Assortment. 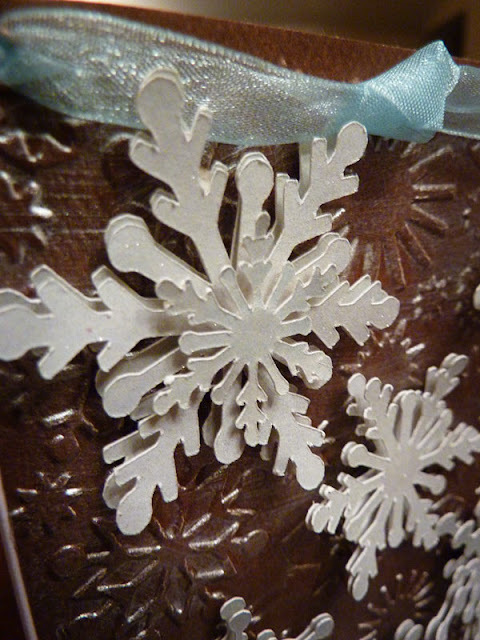 Those were pop-dotted from the background, both of which were cut from Preserves, and inked. The top layer was run through the Cuttlebug. I pop-dotted that whole thing from the background, added some bakers twine, and buttons, as well as a sentiment from my Pink by Design stamp set. Suddenly, I'm not in the mood for snow, I'm in the mood for summer! I am so LOVING this card! I just love how it came out - I think I love the paper I started with, and that makes a big difference! Anyway, the stamped sentiment is from one of my Unity Stamp sets, I cut the frame in 4 different sizes and 2 alternating colors from Preserves (one of the lid toppers! 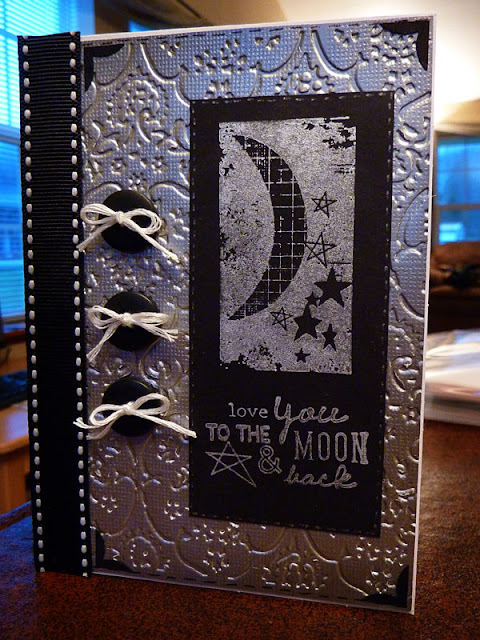 ), and the music note border is from Gypsy Wanderings. Layered and inked everything, added some stick on pearls, and a little ribbon and a bow. 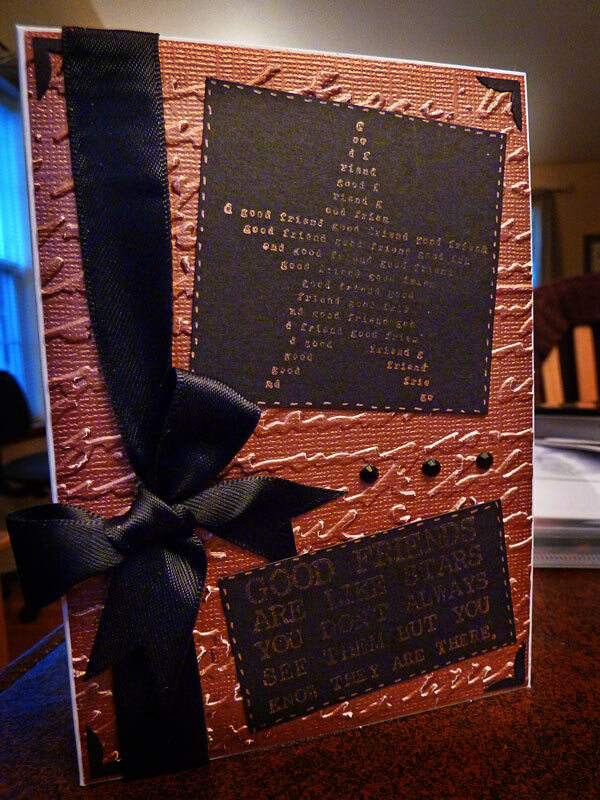 So...I wasn't really in love with this card, but once it was finished, it wasn't too bad. I was trying to meet the requirements of the challenge on the Cricut Circle blog for the weekly challenge - to use metal, white paint, and a snowflake cut. There had to be a minimum of 2 cricut cuts to qualify. As always, thanks for looking, and have a GREAT day!!! 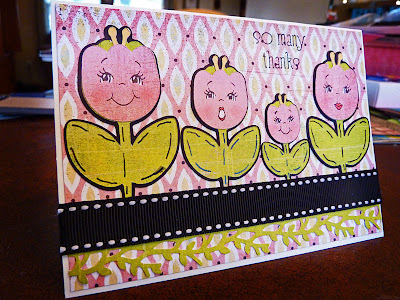 Congrats on the success of your blog ... your cards are wonderful! I really don't have a funny story, but I do find it amusing that my family now speaks "Cricut" and have become my biggest enablers. Good morning! I will be drawing a winner for the Simply Charmed cartridge a little later this morning (see HERE if you haven't entered yet!) but I wanted to post this a bit earlier this morning. This is my first project with my Nifty Fifties cartridge. When I saw this cute little bird, I knew I HAD to makes something with it! I used the shadow of his background to weld together to make a shape card. The shape was a little interesting to prop up and photograph - that is why it looks a little crooked in the picture - it was the best I could do! I then ran the background through the Cuttlebug, Added Glosssy Accents to the eyes and music notes, a stamped sentiment from My Pink Stamper, a bit of stitching around the edges, and then on a whim, I put stickles all around the edges of nearly everything! Hope you have a great morning, and I will be back soon to announce the winner!
" 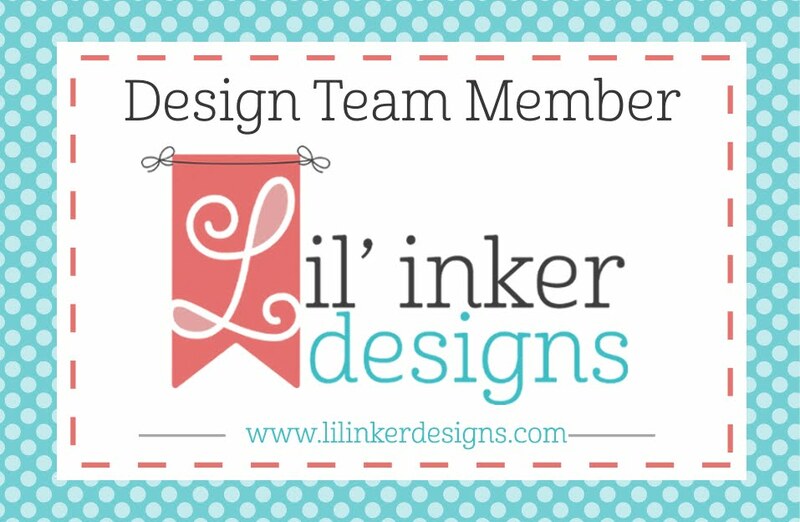 I have a request - most of us are card makers and a dear friend of mine and his wife just lost their 13 month old baby girl. It was something rare and in 30 hours she went from perfectly healthy to gone from their lives. There was nothing they could do. They were incredibly brave and donated her organs and already 5 children's lives have been saved. They are seeing the blessing in this storm and are leaning on God to guide them through this horrific time. Their names are Sean and Kjersten Post and their daughter's name was Brynnley. I don't want to invade on their privacy, but if you would like to send a card to them, I would really love it if they knew how many people are praying for them and their situation." If you would like to help, please click on her name above to follow the link for more information. I almost didn't post this, because I didn't want it to be in poor taste. But I truly struggled with this card - sympathy cards are a lot harder to begin with - but making one for someone who lost their daughter was particularly difficult, especially since I have two daughters of my own, and can't imagine going through such a loss. 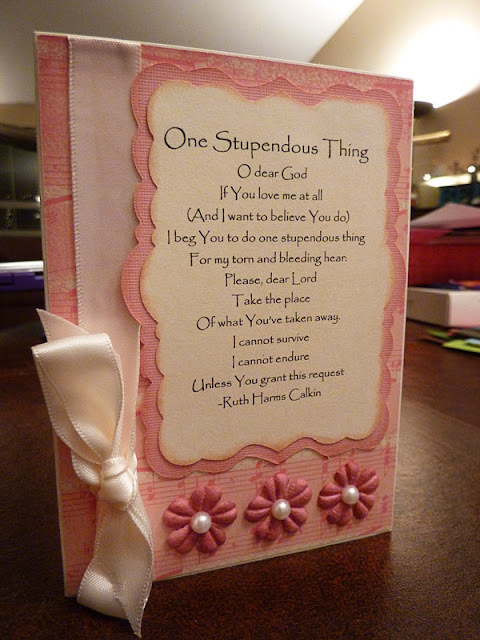 But after some prayer, I felt like the Lord led me to this poem, and I built the card around that. The shapes were cut from Preserves, and I simply inked them a little, added some flowers and stick on pearls, and a ribbon bow. Please keep this family in your prayers - I plan on it. 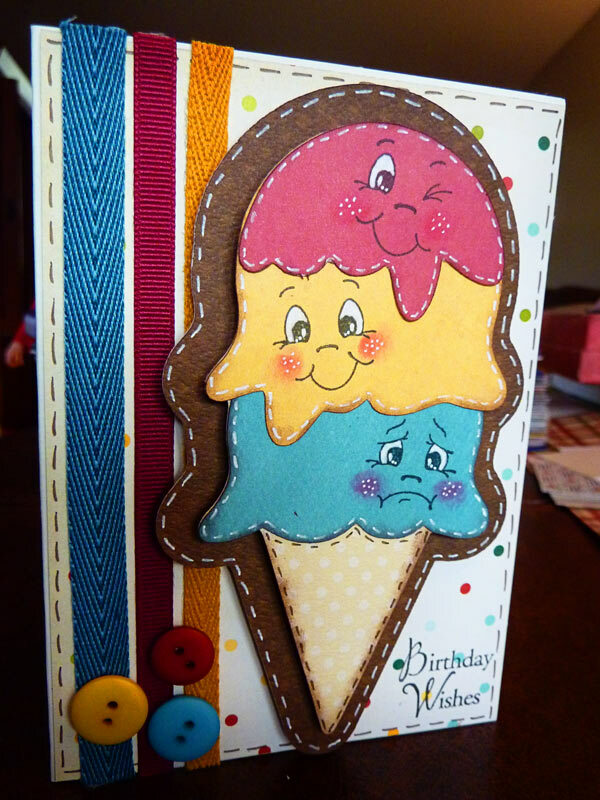 Just wanted to share a quick card I made the other evening with my Unity Stamps. Also cut one of the labels off of Preserves for the background. I didn't realize how many nifty label shapes are on that cartridge! They are GREAT for cards! Anyway, I colored the image with colored pencils, then cut them out and pop-dotted them from the background. Inked around the edge of the background and the outside of the card. Added the kitty footprint stamp to the left hand side as well as the sentiment (all stamps were from the same set: Hugs and Kitties), and wrapped a bit of string around the bottom of the card and tied it in a bow. Thanks for looking - and if you haven't already told me your funny story, make sure and click HERE to leave me a comment for a chance to win Simply Charmed! Have a blessed Sunday! 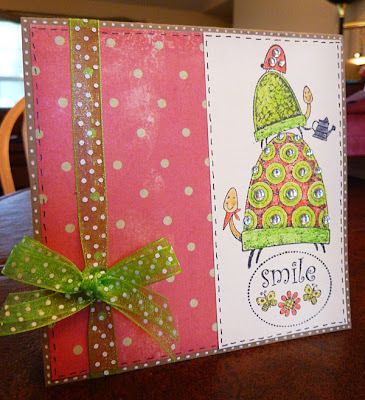 Besides using Simply Charmed and Peachy Keen faces (Dolly Dumplins face assortment), I also used a sentiment from one of my Unity Stamp sets. Added some ribbon a bit of doodling on the leaves, and an edge along the bottom from one of my Martha Stewart branch punches. I think it came out really fun - and I LOVE the colors on this one! Thanks for looking - and feel free to join in on the fun HERE! There is a great prize as well! If you are interested in the giveaway I am doing right now, scroll down or click HERE. You still have all weekend - and I will draw on Monday morning! 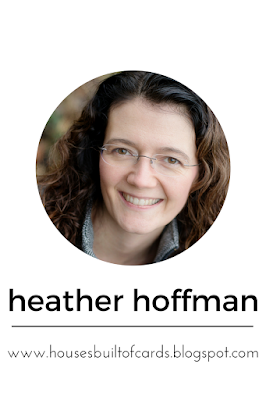 I am having so much fun reading all your funny stories! Thanks for sharing them with me! Also wanted to share a couple of quick cards I made with my Unity Stamps. Both were super quick and easy - the best kind! Colored both images in with colored pencils, added some pearls to the first one, and bling with my Jolee's heat set tool to the second one, and a little ribbon to finish them off. 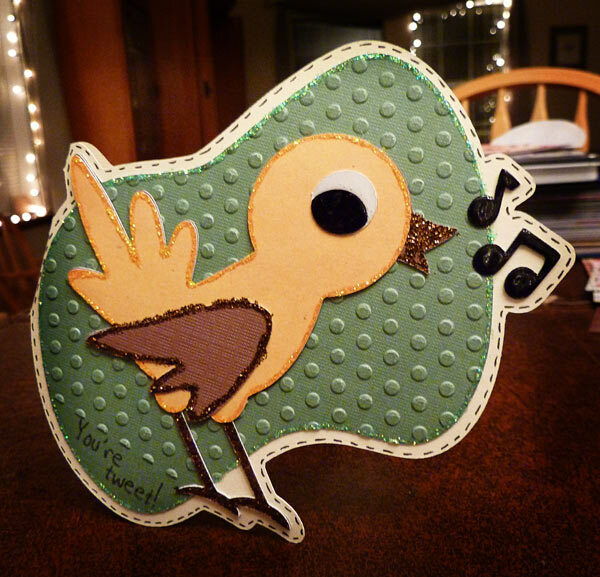 I made the first one in a square shape, slightly smaller than 5x5 (so it would fit the envelope this time!). Kind of enjoying getting out of my normal rut and trying some new shapes - square being one of them! Giveaway - tell me a story!